Car shopping in the Daphne area? 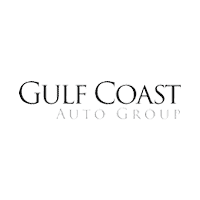 Look no further than the new vehicle inventory at Gulf Coast Auto Group. We have a wide variety of models in stock, from the popular Audi Q5 to the fan favorite Volkswagen Jetta. Our sales teams are standing by to get you behind the wheel of the model that best suits your budget and driving needs, and we always have rotating vehicle specials to make the car-buying process that much less stressful. When you’re ready to take your Fairhope or Gulf Shores commute to the next level, stop by Gulf Coast Auto Group to pursue the various models for sale in Mobile, AL! Contact us today to explore your leasing and financing options — including gap insurance — and find the car that will upgrade your Mobile commute! Description: $6,375 below Invoice! Summit White 2019 Chevrolet Malibu LS 1LS Factory MSRP: $24,295 FWD CVT 29/36 City/Highway MPG 1.5L DOHC Jet Black Cloth. Description: $6,375 below Invoice! Silver Ice Metallic 2019 Chevrolet Malibu LS 1LS Factory MSRP: $24,295 FWD CVT 29/36 City/Highway MPG 1.5L DOHC Jet Black Cloth. Description: $6,375 below Invoice! Black Metallic 2019 Chevrolet Malibu LS 1LS Factory MSRP: $24,295 FWD CVT 29/36 City/Highway MPG 1.5L DOHC Jet Black Cloth. Description: $6,346 below Invoice! Black Metallic 2019 Chevrolet Malibu RS Factory MSRP: $25,305 FWD CVT 29/36 City/Highway MPG 1.5L DOHC Jet Black Cloth. Description: $6,346 below Invoice! Pacific Blue Metallic 2019 Chevrolet Malibu RS Factory MSRP: $25,305 FWD CVT 29/36 City/Highway MPG 1.5L DOHC Jet Black Cloth. Description: $10,650 below Invoice! Summit White 2018 Chevrolet Malibu LT 1LT Factory MSRP: $28,375 FWD 6-Speed Automatic 27/36 City/Highway MPG 1.5L DOHC Dark Atmosphere/Medium Ash Gray Cloth. Description: $6,215 below Invoice! Summit White 2019 Chevrolet Malibu RS Factory MSRP: $25,445 FWD CVT 29/36 City/Highway MPG 1.5L DOHC Jet Black Cloth.